Fundraiser by Julia Diegmann : Help us restore the symphony of the forest! 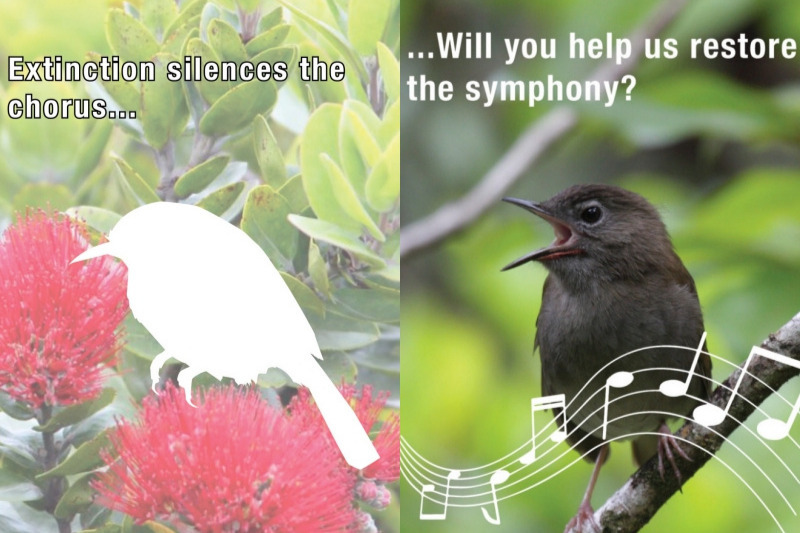 Help us restore the symphony of the forest! Kauai’s native forest birds are dropping like flies due to mosquito-borne avian malaria and introduced predators. Fighting disease is labor-intensive! Interns help us survey for and control mosquitos and catch birds to outfit them with transmitters, while learning valuable professional skills. Help our dedicated staff and equipment get to remote field locations to carry out research and control invasive mosquitoes and rats. Tiny transmitters attached temporarily to birds allow us to study their movement patterns and determine where they come into contact with mosquitoes. We use mistnets to catch birds so that we can band them to study population dynamics, attach transmitters, and take samples for disease screening. CO2 lures mosquitoes into traps. This type of field work helps us better understand mosquito distribution for future control effort. When a female mosquito has eaten her fill, she tries to find nice “stinky” water to lay her eggs in. We use alfalfa to make stinky water for traps to catch these female. 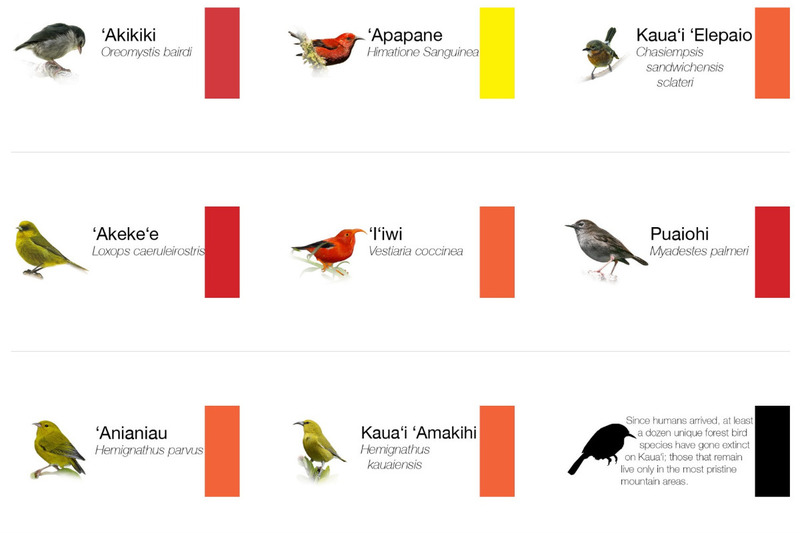 ʻAkekeʻe are Critically Endangered (only 1000 birds remain) and exist only on Kauaʻi. Thier biggest threat appears to be avian malaria spread by mosquitos. This project funds expanded mosquito research and control, which represents the best hope of recovery for all of Kauaʻi’s honeycreepers. Puaiohi are also Critically Endangered and exist only on Kauaʻi. They number 500 individuals in the wild; population growth appears to be limited by invasive rats, which prey on females as they incubate their nests. Since 2015 we have deployed 425 self-resetting rat traps in the heart of Puaiohi’s range to protect their nests. These amazing traps kill up to 22 rats before needing maintenance. This project funds extensive predator control in remote regions of the Alakaʻi. 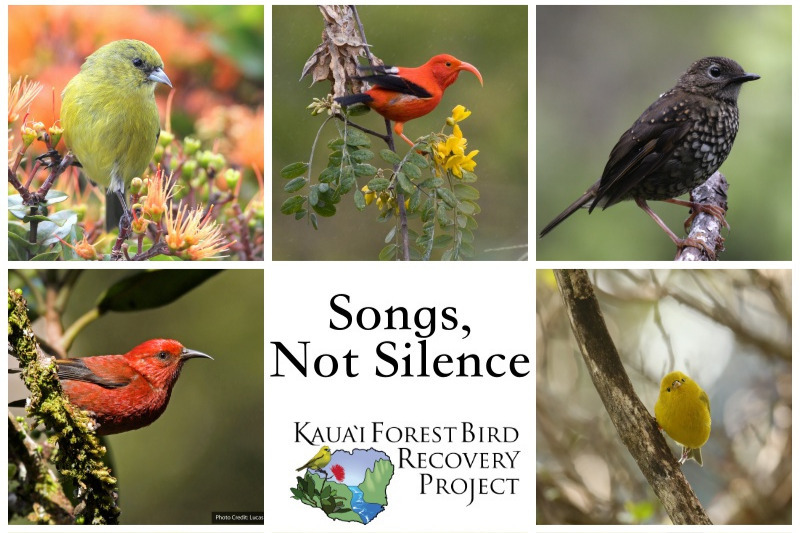 Thank you for caring about Kaua'is native forest birds!